Shallow mount subwoofers are typically designed to reproduce bass, while remaining rather compact. Their biggest advantage is that they cover the lower range of frequencies that most small speakers struggle to reproduce. The slim series subwoofers with a shallow depth have been designed to fit in tiny spaces on your truck, sports car, or a normal sedan. With a shallow mount subwoofer you can add an extra level of power and sound to your vehicle. The same can’t be reproduced by your conventional door speakers (Source). Add a well-tuned, shallow mount subwoofer to your stereo and you’ll find yourself wondering why you didn’t do this earlier. 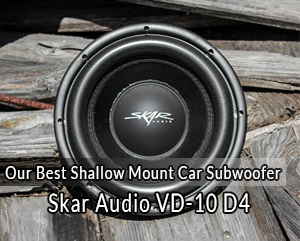 Skar Audio’s VD-10 D4 10″ Dual 4 800W Max Power shallow mount car subwoofer is a remarkable piece of engineering. We find it is the best choice in this price range. The VD series 10-inch dual 4 OHM shallow mount subwoofers have been designed as a very versatile and powerful driver. Where space or mounting depth is an issue, look no further. The VD-10 woofer is extremely powerful, rated at a conservative 500 watts RMS power and feature a high quality 2″ BASV voice coil. Furthermore, the VD series utilize only the best parts, such as a competition grade cone, high strength foam surround and a two-layer conex spider for high power handling. These components, in combination with the advanced cooling design of this woofer, allow it to fit in much shallower enclosures. At the same time, they allow it to perform with attitude. RMS: power : 500 watts, max power , 800 watts, sensitivity: 86.3 DB, competition grade paper cone, foam surround material, 2-inch voice coil, resonance frequency: 41.9 hz, mechanical Q factor (QMS): 4.55, electrical factor (QES): 0.53, total Q factor (QTS): 0.47, Xmax: 11.5mm one-way, force factor: 22.9 N/A, magnet weight: 68 oz. All Skar Audio subwoofer and speaker products are covered by a two-year limited warranty. This, however, is not valid in cases of improper installation, misuse, running more than the recommend power, accidental damage, or improper wiring. The warranty becomes void if the product has been modified or repaired by any other third party besides Skar audio. The company rigorously tests all of their subwoofers and speakers prior to shipment. Any misuse of a subwoofer or speaker that leads to a burnt voice coil or other damage from too much power is easily established. Consequently, such defects are not covered by the manufacturer’s warranty. 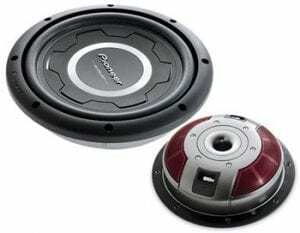 Pioneer is quite rightfully considered to be the world leader in the field of car audio engineering and design. Their TS-SW2502S4 is a ten-inch, 1,200-watt shallow mount subwoofer that can literary blow your mind without breaking the bank. This Pioneer 10 in. 1,200-Watt Shallow-Mount Subwoofer with Single 4ohm Voice Coil generates deep bass with top-notch sound quality thanks to features like mica injection-molded resin, which enable the device to produce highly accurate bass. This subwoofer relies on oversized cone structure that provides greater cone and gasket surface without changing its standard external dimensions. The cone surface allows the subwoofer to emit louder and deeper bass by moving more air. The mounting depth is less than half that of a typical subwoofer in this class. Although its peak power is 1,200 watts, the manufacturer recommends a working range of 100-300 watts, at which you will be enjoying a frequency response between 20 and 125 Hz. This model’s mounting depth ranges from three to just one-eighth of the inch. Last but not least, TS-SW2502S4 features a sealed box volume ranging between 0.35-0.7 cubic feet, while the ported box volume is between 0.5 and 0.7 cubic feet. The RW8CA is a universal solution to give you great sounding bass in your hot rod or muscle car without taking up a ton of space. This sub enclosure is only 2.7″ thick, so it can easily fit under your seat. The amplifier is built in, so installation and wiring is easy and clean. This unit is designed with the user in mind from start to finish. The model is fitted with high level inputs, so you don’t need a remote wire from your receiver to trigger the unit on and off. 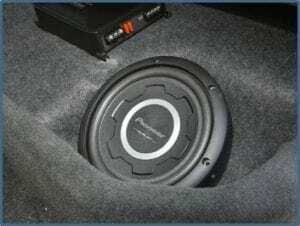 Using the high level input is also the fastest and easiest way to install an aftermarket amp subwoofer combination, since you do not have to remove the receiver. You simply use the high level input and wire it to one of your speakers. The smart circuit will sense that an audio signal is present and turn on your radio. When you turn the music off, the amplifier built into this subwoofer system will automatically turn itself off. Another thing the manufacturer did to make installation a breeze is put all the inputs and outputs on one side. This model sits at number 3 on our list, because for its relatively high retail price it generates only 600 watts of peak power and 150 watts RMS. It gives the end user little comfort knowing that RW8CA is CEA-2006 compliant, which means the ratings are approved by a third party, so its owner can be 100% sure that this item will produce the full power indicated by manufacturer. If you are not happy with a given Rockville product, the company promises to take it back within 30 days of the reception date and fully refund the customer. This model is fitted with some amazing controls, so you can tweak the sound to your liking. It has a level control for the volume, a subsonic filter to filter out the really low frequencies that the human ear cannot perceive. RW8CA also has a low pass crossover filter, phase control, and bass boost. A remote bass knob and some mounting hardware are also included in the package. The AC10D is a medium-tier product. It is designed to work in a sealed or ported enclosure. As the woofer is equipped with pole-vent, it needs a minimum clearance from the rear wall of the enclosure of 0.75-inch (19 mm). This model has been designed for maximum output, while retaining great sound quality. Planet Audio advises that their AC10D subwoofer go through a short but important process of ‘break-in’ before it is run under harsh conditions. The ‘break-in’ process will ensure the subwoofer is capable of performing as it has been designed to. This process involves subjecting the subwoofer to no more than low-to-medium volume levels for a number of hours in the enclosure. 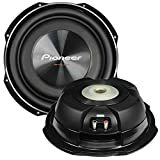 Three or four hours are generally sufficient for the subwoofer’s suspension to loosen enough to prevent the voice coils from overheating and malfunctioning. The break-in period is also essential for extending this subwoofer’s life. Overdriving the woofer before it has been properly broken in usually results in poor performance and early failure. Once the break-in period is over, you can run this subwoofer at its peak performance. It’s made of a polypropylene cone that is resilient and durable to provide a great sound that will last for a long time. To keep the cone centered, self-damping foam surround has been used to reduce standing waves. The voice coil is made of aluminum, so it is of low density and resists corrosion. For a relatively cheap product, the P100F model by Boss Audio kicks really damn hard! However, do not be tempted to max it out from the start, as an initial break-in period is recommended by the manufacturer. With its wicked design and frightening 1,200 watts of bass output, the P100F 10″ Phantom Series Low-Profile Subwoofer from Boss Audio Systems is a striking upgrade to your car’s audio system. The 4ohm single voice coil has a free air resonance of 48Hz. With a metallic black finish that accents any interior and a poly injection cone, the P100F produces both looks and sound that impress. The 3″ mounting depth is a nice extra. You get a three-year Platinum Online Dealer Warranty that is valid only on products sold or shipped by Amazon.com. This offer is not valid on purchases made from third party market place retailers. 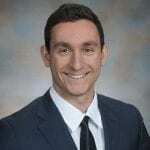 As with any other purchase, budget planning is crucial for making the right product choice. Please note that the top-tier products are relatively pricy, but this does not necessarily mean they produce the best sound. 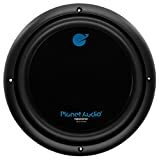 If you are planning to use your shallow mount subwoofer every day, we recommend that you purchase it from a reputed manufacturer, even if the retail price may be a bit high. On the other hand, if you are going to use the subwoofer occasionally, then you can shop around for a medium-tier product and save a ton of cash. This factor is not to be underestimated. 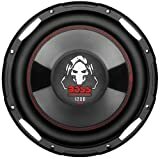 As with any other product, some shallow mount automobile subwoofers are manufactured with higher quality components. Thus, the manufacturer is inclined to provide longer warranty on them. If you pay less for a medium-class product, the best you can expect is average warranty length. For ultimate performance, we recommend that all products reviewed above are installed by a qualified professional. Please, do not try to install your shallow mount car subwoofer yourself, unless you have the necessary training. Thank you for reading our review dedicated to this year’s top five best shallow mount car subwoofers. All of the products discussed above are engineered with safety and high performance in mind. 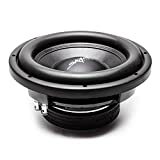 As with any other item, your shallow mount car subwoofer will need regular cleaning and maintenance, so as to serve you over a longer period of time. However, you will most certainly want to return it and have it replaced in case it suddenly breaks down, so our final tip is to find a seller that covers such costs, at least partially.